The ability to write 280 character tweets has been with us for almost a year. And it’s a high time to analyze how it’s changed Twitter’s reality. Is anyone even using 280 character tweets? Are they performing better than shorter tweets? Do we tweet as much as we did last year? Guess what, we’ve got that all covered. And the results are a must see! You might be surprised by what we found. 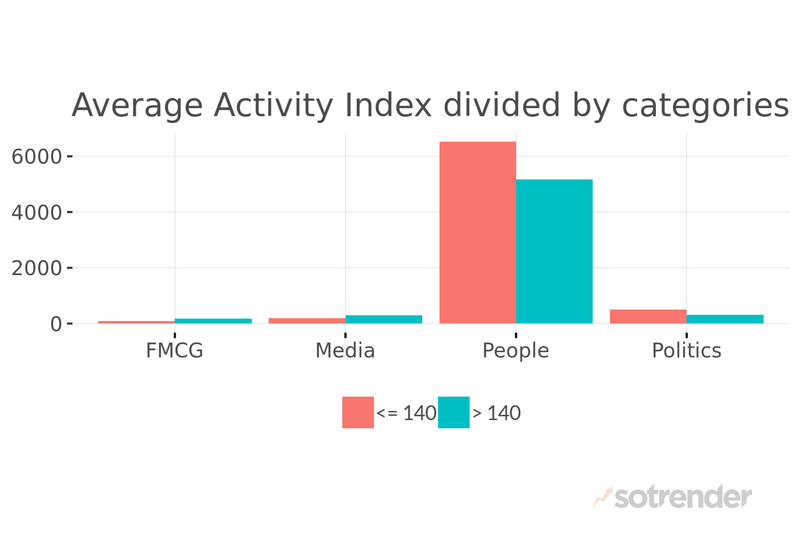 We’ve analyzed several profiles in 4 selected categories: FMCG, Media, Politics and People in the United Kingdom. In each category we’ve chosen very active profiles which were tweeting at least a few times a day. 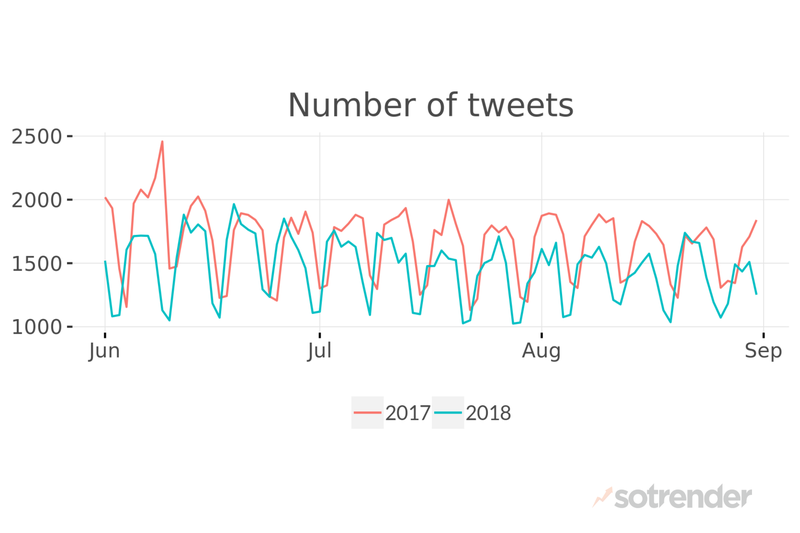 The first conclusion of our analysis is that generally, we tweet less than in 2017. It’s worth explaining the peak in June 2017. It was related to the General Election in the United Kingdom and more intensive Twitter usage at the time. Back to how often we tweet in general. 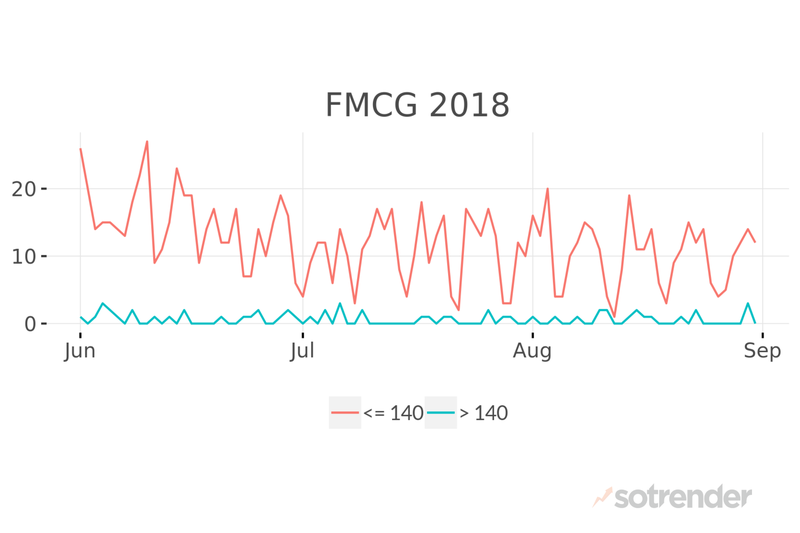 The most significant decrease can be observed in FMCG, as brands in this segment post less frequently than, for example, Media brands. 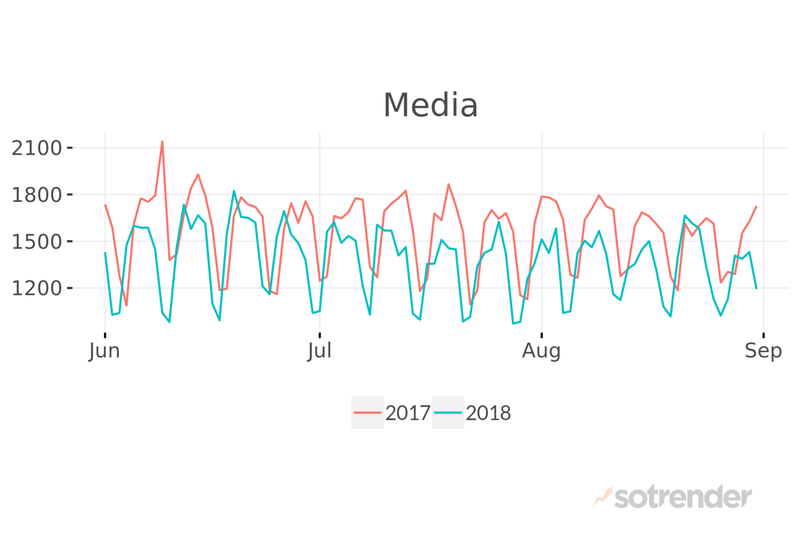 Brands like Clinique UK, Munchies UK or Macknade Fine Foods now tweet even 2-3 times less than a year ago. With this number, the decline is easily visible. 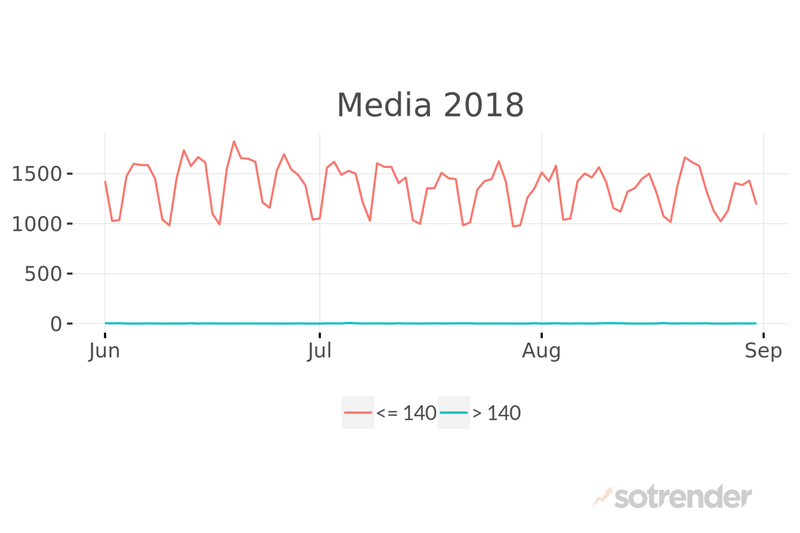 In the Media category, for example, a decrease can be also observed, but it’s not as significant. Politics, People and Media segments use them rather randomly. 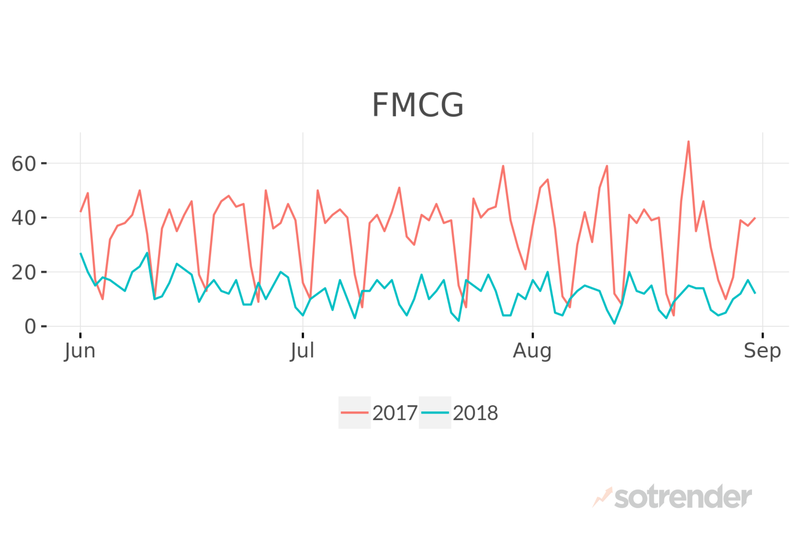 FMCG brands use them a bit more, but still, the numbers are not notable. But still, other segments aren’t using longer tweets much either. Is it just habituation? Or maybe laziness? It’s something deserving of further in-depth research. Here’s where our analysis gets even more interesting. We already know that we don’t post longer tweets. But what about our audiences? What do they prefer? After all, they are the most important users. It’s not like we’re all identifying our buyer personas for no reason. The data shows that, in general, along with the number of characters used in tweets, engagement also increases. And on average it does so significantly – from around 300 up to more than 900. 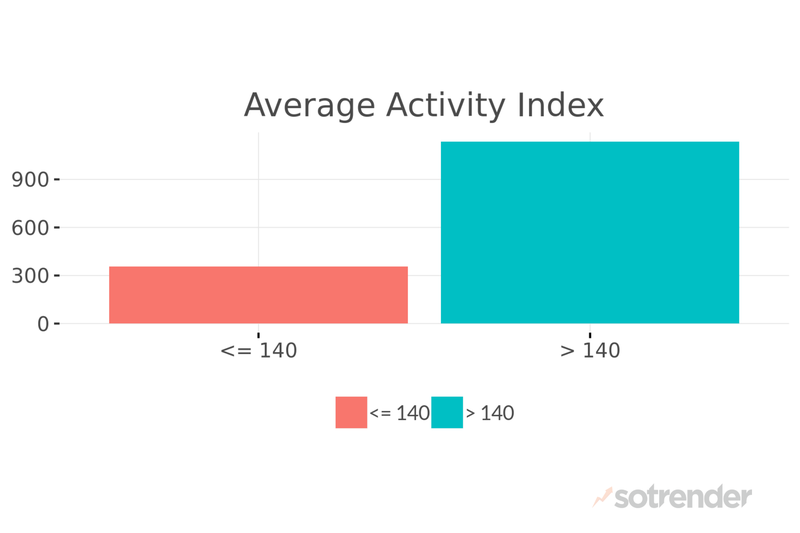 The metric used in this analysis is the Activity Index. It helps to identify and measure the most engaging content, and engagement in general, while considering the importance of individual activities. Still, engagement even in FMCG and Media profiles is higher when longer tweets are posted. 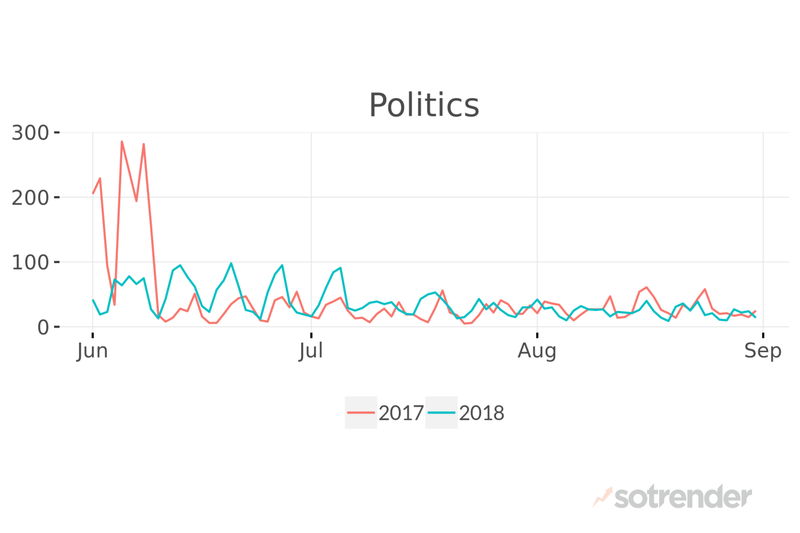 An exception is Politics – this is where shorter tweets seem to perform better. Give 280-character tweets a try! The lesson for brands and marketers? Try taking more advantage of tweets consisting of more than 140 characters. We can’t guarantee they’ll outperform your current results, but it’s still worth a shot. After all, you have to measure and compare their effectiveness. You can always make it easy with Sotrender. 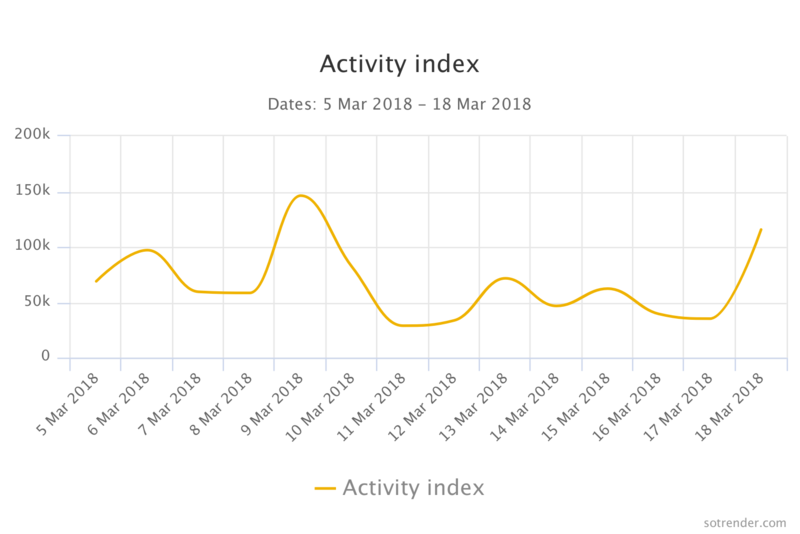 Just think of what the Activity Index metric can do for you. Do you want to conduct a more complex Twitter audit? We’ve got that covered too! 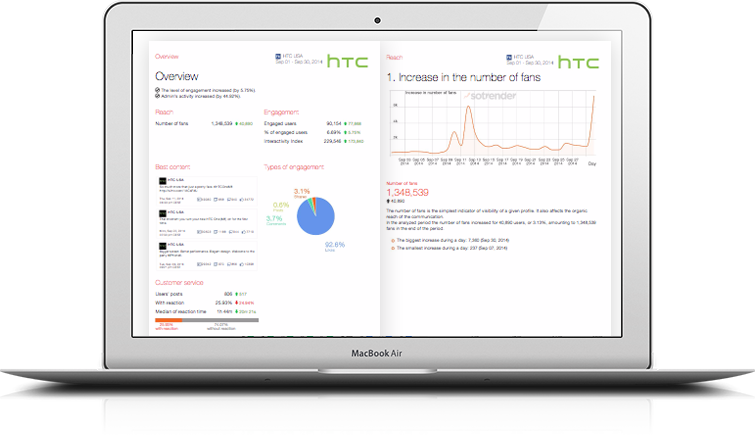 It’s also worth monitoring how your competitors use Twitter. Is this channel included in their marketing strategy? What kinds of tweets do they post? How long? Simple research like this can already provide you with valuable knowledge about the market you are in and the direction which you should take. And guess what? you can find all that out with Sotrender!